Austrian Assyriologist Michael Jursa recently discovered the financial record of a donation made a Babylonian chief official, Nebo-Sarsekim. The find may lend new credibility to the Book of Jeremiah, which cites Nebo-Sarsekim as a participant in the siege of Jerusalem in 587 B.C. The tablet is dated to 595 B.C., which was during the reign of the Babylonian king, Nebuchadnezzar II. Coming to the throne in 604 B.C., he marched to Egypt shortly thereafter, and initiated an epoch of fighting between the two nations. During the ongoing struggle, Jerusalem was captured in 597, and again in 587-6 B.C. It was at this second siege that Nebo-Sarsekim made his appearance. He ordered Nebo-Sarsekim to look after Jeremiah: "Take him, and look well to him, and do him no harm; but do unto him even as he shall say unto thee." (Jeremiah 39.12) As the biblical story goes, the victorious Babylonian king departed the city with numerous Jewish captives. 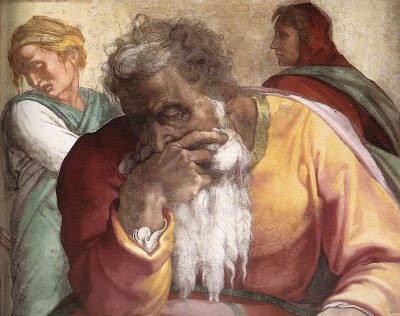 Desiring to spare the prophet Jeremiah, he ordered Nebo-Sarsekim to look after him: "Take him, and look well to him, and do him no harm; but do unto him even as he shall say unto thee." (Jeremiah 39.12). Nebo-Sarsekim obeyed these orders by taking Jeremiah out of the Babylonian court of the prison, and ensuring he was escorted home to Jerusalem to live among his people.